The Kitchen is usually the most expensive room in the home. But it seems that every ten years or so, there’s a new crop of kitchen trends that catch our fancy. The trends of the day influence us; they often look “fresh”– at first. Will it look fresh 10, 15, 20 years from now? A kitchen reno is a major drag, in every way. A bad and/or dated/weird design can decrease our home value. Oh, but it’s all so seductive! There is no such thing as a kitchen that has stood the test of time. Think about it or just click on this post where we went through kitchen history. And as you can see… the styles changed a lot of over the years. Before I get into the kitchen trends, I’d like to discuss what’s out. If you happen to like what’s out, that’s fine. OR if you just redid your kitchen and put in something on my “out list,” I am not here to judge. (too much) :] It might be perfectly wonderful for you and appealing to people who live in your area. Ersatz French Country and all that goes with it. Frankly, I don’t think this should’ve ever been in, but here’s what’s included in the out list. For most of my career, I’ve had potential clients calling me up wanting “French Country.” This is its own separate topic. But these examples above are NOT French Country. These are some made-up amalgam of something that only exists in someone’s fantasy of what “French Country” actually is. Below is a French Country Kitchen. However, most Americans would freak out if a designer presented a kitchen like this to them. I rather love it! Now we are going to review 12 of the hottest kitchen trends out there and decide whether we’re going to love them or leave them. the kitchen cabinets are most likely going to be the most expensive purchase and if using upper cabinets and/or floor to ceiling, the most in your face. The other material that is out except as an accent is wood. Yes, you can have wood. You could do a gorgeous wood butler’s pantry or a wood island. Wood counters. Wood floor. Wood shelves. Or wood if you are only doing lowers. But stained wood uppers are passe and uppers and lowers together are also. You might absolutely adore wood. You may be living in a log cabin. You prefer it for any reason. However, as far as kitchen trends go, wood cabinets are out of fashion. And, I believe it is going to stay that way. Yes, painted kitchen cabinetry is one of the kitchen trends that is here to stay. And I don’t necessarily mean a white kitchen. Although if I had to pick something that I think IS absolutely, definitely, positively going to be here in pretty much this form in 20 years, it’s the “classic” white kitchen. There are other painted finishes and colors that are also kitchen trends. It’s the question on everyone’s lips? Is gray here to stay? Well, you may recall that gray is actually an exceedingly classic color all throughout history. However, I feel that it needs to make sense within the context of the home. We have an inset door and a clean flat panel front. The above panels are with an inset bead. This is a shaker style door which doesn’t have the little inset moulding. These are what I feel are the best options most of the time. Of course, that’s very general, but let’s say 80% of the time. Yes, you can have a raised panel door for a more formal kitchen. Most of the time, unless it is supposed to look antique, the finishes on-trend should be smooth and in a satin or semi-gloss finish. If one desires an antique look, the glazes should be subtle, chalky and believably antique. No heavy crackle under 15 coats of polyurethane– please. What about other colors for kitchen cabinets? I am also seeing lots and lots of stunning blue kitchens. 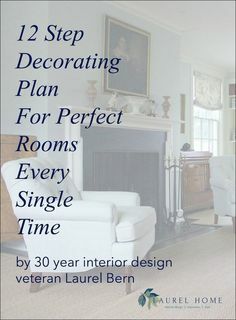 This is my feeling on painting your cabinets blue or any other color which might be deemed “too taste specific.” If you love the look of painted kitchen cabinetry and it suits your home then sure, why not? If you’re planning on selling your home in 5 years, probably not. However, in the kitchen below, I adore everything about it, including the classic design of the encaustic cement floor tiles. Shelves instead of upper cabinets keep things looking lighter. We discussed that in our unkitchen post. Yes, it’s true. They are more decorative than functional which is why I did the follow-up storage for the new unkitchen post. Green has become a very popular cabinet color recently in kitchen trends. However, the green kitchen trend I do not think has legs. That doesn’t mean you shouldn’t do it, but just know that it may very well be dated in a few years. This is the kitchen which some of you may recognize belonging to Bailey McCarthy of the wonderful Peppermint Bliss blog. I love her work. However, I have to be honest. I’m struggling with this intensely saturated green kitchen– The top half of it. That range is to die for, n’est-pas? I saw a larger image of this kitchen and I also think it might be a bit too much, but like the vignette here. This brings us to the wildly popular two-tone cabinets kitchen trend. Okay. It’s usually fine and oftentimes desirable. I think I would prefer Bailey’s kitchen more if there were more white above the saturated green. More like this one below. Please check out her blog from some very colorful kitchens! Can’t see the entire room. But right here, it feels like too many cabinets. I don’t feel that a kitchen needs counters lining the entire perimeter if it’s a good-sized kitchen and there’s an island. This one either looks like a kitchen store showroom or a mistake. (the right gray half against the white left half) I do love the island in a contrast color, but the piece on the right looks like it should be white to me. Nancy Keyes gray and white kitchen is absolutely perfect in every way. And she and her husband made the light fixture. So talented! Charcoal gray and white. I love the panel moulding detailing here. Yes, I think we all realize by now that there has been a quickly growing trend for black cabinets. But… it can quickly go horribly wrong if one isn’t careful. Is that really the only place the range can go butted up against the window? Black is also cool in this small urban kitchen, punctuated with a white porcelain farmhouse sink. for more cool black and white kitchens, click here. Laurel, what about all of that BRASS and GOLD and can we mix metals? I adore the “new” unlacquered brass. It adds so much warmth to gray cabinets especially. And yes, not only can you mix metals– you should mix them. But… I wouldn’t get too crazy and mix more than two colors. So, stainless and chrome and nickel with gold, brass or copper. Copper would be better with nickel or bronze, I think. There are lots of examples in most of these photos. You can never go wrong with white subway tile. I think I will devote another post to that. But while I can’t stand the crazy brick pattern mosaic, I do love this classic geometric tile from Walker Zanger. I think that stainless steel is here to stay…but… regular stainless, that is. We’re going to beam up to the year 2036. There’s a little impromptu game of Jeopardy going on. Hosted by the ageless 93-yr-old *Alex Trebek! Alex: This popular appliance color became a massive dud by the year 2022. Alex: Yes, that is correct, Bob. Those abominations remind me of the color of my slightly lumpy suit jacket. 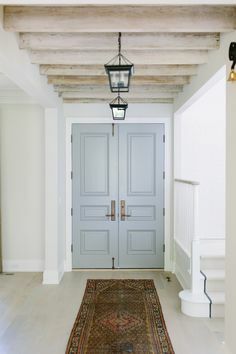 I actually do like shiplap, but it should be used judiciously! I think it’s such a wonderful, sophisticated look for a country or beach home. But yes, some have overdone it. A little shiplap goes a long way! Phew! That was pretty long. And I’m sure I left out a few things too. Anything you guys would like me to discuss further? I know that there have been some requests for a nice juicy back splash post. I think that would tie in nicely with kitchen counters. Hope you’re having a beautiful weekend! * Note March 2019: I’m a HUGE fan of Alex Trebek. Class act through and through. My children were “breast fed” on “Padee” as my son, Cale called the show circa 1992. In light of the recent news about Mr. Trebek’s serious cancer, I wish him every hope and prayer for a remission and that he gets at least another 20 years to grace this earth with his inimitable taste and style. I was on the hook for every every word of your article when you expressed your disdain for that heavy, cluttered, dirty-looking “French Country” style. How can you tell if your kitchen is clean with all that glaze on the cabinets and faux texture on the walls? Tuscan is another…Thank you for the palette-cleansing image of an actual French country kitchen! I loved this blog post! One of the most enjoyable reads on kitchens I’ve come across in a long time. My husband and I are closing on our first home this month (whoo-hoo! ), and the kitchen in our new house is a galley kitchen. The cabinets are good quality, with crown molding and everything. The problem is, they’re medium brown. And the floors are dark also. No, it would not be stupid. :] And yes, it would be much better, IMO. To Melissa S., while invisioning your kitchen situation, I think you need to reconsider the size of the table, (that will take the place of the island). I would downsize it slightly to accommodate for the chairs. Otherwise it may too cramped. Also, taking in to account the size of the kitchen, I would use a table that is at least cabinet height, so the guests don’t feel as they’re in a hole. I realize that you’re trying to help; that’s terrific and this is not in any way personal, but I generally frown on giving advice unless it’s very general in nature and it makes sense to me. I don’t give advice either. One reason is, that if I encouraged that, I would be sitting here ALL day giving out free advice. But more importantly, we can’t see what’s going on and it’s impossible to give proper recommendations. So, I hope that you will understand that since it’s my name on the blog, I need to vet any advice given out to ensure that folks aren’t mislead. I don’t understand what is meant by a table that is at least “cabinet height.” That is not a term that I’m familiar with and there is no one standard height for cabinets. All tables where one sits at them for eating or conference are at about 30″, no lower than 29″ and not higher than 31″. Point(s) taken. And yes, I did mean to say “counter height”. Not at all! Of course, you can provide suggestions, but I had already told the woman that this isn’t the place to get that kind of specific interior design help. I don’t think it’s right for anyone to give advice without being in the person’s home. Thanks for your understanding. My powers of visualization are dim at best when folks are describing their interiors. I would need to be standing there to explore different possibilities and then I might need to go back home and think about it some more. My best rec is to hire someone local to help you plan it out. I’ve had clients paint their oak cabinets all the time. How about taking one of the smaller doors and using it as a sample. If you don’t like it, it can be stripped and changed to something else. 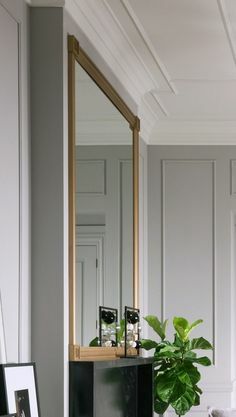 I would not paint the cabinets gray unless that suits your over-all scheme. I only found this out recently, but shiplap is what is behind the walls in many old homes. I’m not an expert on it, but someone sent me a photo or a link a while back with info about it. Now, you are right if it’s used indiscriminately and not in a way that makes sense. I’ve also had clients who’ve added on to their homes and kept the horizontal siding which is similar to shiplap. Sing it sister! My one thing is when something I’ve ALWAYS loved suddenly becomes the hottest design trend– for instance, my beloved Greek Key. But alas we’re a nation of sheeple. People don’t know how to live their dreams because they don’t have any. I know what that feels like too. Sometimes in the midst of all of the crap that life throws at us, we can lose sight of that. Going with the mainstream feels safe for many and alarming as it is for a lot of us… even THAT is a stretch for many folks. But, bucking the system is something I very much enjoy. Clearly an art presentation from someone bored with kitchen decor but instead of being canned solutions, inspirations to allow followers to set off onto radically new paths. I suggest these also include the natural beauty & warm of exotic woods – not just paint – that could reach back to easy to get Ash and other domestics. Is the “someone” me? Sorry, you lost me a little bit here. I share a different philosphy in that the word “practical” is not in my vocabulary in terms of cabinet finishes. I want my cabinets to show every last bit of grime and drippings from the tea that spilled over the counter. That way, I know what to clean! And while I love other colors, and occasionally wood in small doses, I will always adore a white kitchen! But I would never “suggest” a finish of any kind to my readers without knowing what else is going on in their home. I’m surprised you could even figure out what this person was talking about because I couldn’t. I agree on the timeless quality of the well-done white kitchen. I grew up on the South Shore of Long Island and the old shingle-style homes always had what we called a “Butler’s Pantry kitchen”, because there always was one. And the kitchens had a friendly center table, not an island, of course, like the true French kitchen you pictured at the top. I still love a table. I read your column about whats in and whats out as far as kitchens. I am doing a new kitchen I have white cabinets with cold spring granite stainless steel appliances. i can’t seem to pick pick out a backsplash and I want to make sure it is right. What is trending right now I seem to keep going back to the Glazzio tiles metallic weather but I don’t know if it will be to much when its up. I know the white is very popular but it looks washed out to me I would like a little color but not to much because I don’t want it to clash with the granite. The colors in the granite are whit brown black grey. What would you suggest? Oh gosh, I thought I did that and am not sure if it’s on this post or not. Love your blog. I really enjoy your comments about kitchens and back splashes. Actually, marble does not scratch OR stain that easily. What it does do easily is etch. Anything acidic such as lemon-juice, vinegar, even fruit juice will create a situation where the finish will change in that area, thereby looking like a stain when the light hits. It. I must disagree on black stainless. As a rule I don’t like black appliances at all, but black stainless looks more like a dark gray and it is a much richer then the stainless that looks like pots and pans. Wood not practical? My husband used to say, if there were no wood, someone would have to invent it. Our entire old house has wooden floors including the kitchen. Tile that ‘looks like’ wood will never ‘look like’ wood. if you want tile, just get tile that looks like tile. Warning you, tile is a killer on your feet if you stand a lot in the kitchen, stirring, peeling, washing. And anything you drop on tile will break,a nd probably the tile will chip or crack, too. I agree, all things being equal that wood is always preferable for a floor, but there are some situations because of environmental factors that wood is not a good idea. Excessive moisture can create a lot of problems. I’ve had the wood look put in two separate homes so I’m a random blog commenting expert. The first time we did it was 10 years ago and it was ok but not close enough to wood. The technology has changed a lot since then and we put it in last year in our basement. Everyone thinks it is wood when they see it. We love it. I did a lot of research and bunch of different ones to lay on the ground before committing. 1) using the distressed looking tile not the ones that try to look like a perfect piece of wood. 2) The longer the piece of tile the better. 3) Lay the tile in a random pattern. This would mean cutting the tiles at random lengths at the starting wall. If you lay it like tile it will look more like tile. Some tiles come in multiple widths and they suggest a pattern that will look almost random. 4) Make sure the grout lines are as small as possible and darker than the tile or a very close match. Seeing grout lines is a give away. It is very heavy. It might be too much weight for some homes on upper floors. I wouldn’t want it all over my house. I don’t like walking on tile all the time. Wood feels nicer. It’s also difficult to get the staircase treads to match the tile if that’s something that matters to you. I got my tile at tileshop.com They even have a link for faux wood and will ship it if you aren’t near a store. I only had my iPhone and the floor doesn’t look are “rich” in the picture but you get the idea. You are welcome! I’ve made so many mistakes over the years I like to help people avoid them. The entire decorating/remodeling process is soooooooo stressful. I’ve never used it but do know about the product. It is very practical and easy to maintain. It looks very convincing as well. People who have it have reported that they and their guests have actually reached down to see that it’s not real wood. It looks like wood but it doesn’t feel like wood. It is cool as ceramic and stone would be. It is wonderful with radiant heat but that is very expensive to install. I’m also 60. And I do love wood butler’s pantries, particularly if they the old original wood and/or in a craftsman home. It depends on the home! I’ll address it right now. Would you suggest pulling down all uppers and replacing them with tile to the ceiling? I have medium brown wood cabinets in an “L” and an island, also off-white subway tile. I am getting glass with mullions put in 4 uppers. Should I pull down the rest? I have no butler’s pantry and no storage except in the crawl space. I am getting bead board and legs on the island. Is this a time for the island to become white? Or should it stay wood and paint the uppers white? Haha! yes! a lot of cutesy crafty farmhouse kitchy-ens. Please stay tuned for Sunday’s post. It was going to be backsplashes and counters, but I have so much material just for the backsplash topic, that I think I need to divide into two posts. I absolutely love your posts. I would love for you to do a post on white subway uses in the kitchen and bathrooms. Also, I would love your thoughts on wood floors and picking this right stain for your house. I am currently building a house and need some insight. Thanks for all your expertise. Keep in coming! I am doing a backsplash post for Sunday, so stay tuned. And there is a really good post about wood flooring. Maybe it’ll be helpful. Thank you so much for sharing all about hardwood flooring! I am looking forward to seeing your post about different backsplashes. I adore your blog and always come away with new ideas and/or reassurance that I’m headed in the right direction with paint choices etc. But, I was holding my breathe as I read this post wondering how you felt about wood cabinets. I have a very open floor plan with beautiful (or at least I think they’re beautiful!) hickory cabinets, both upper and lower as well as red oak flooring. A decorator/friend of mine who I respect a lot recently commented that if she had my house, the very first thing she would do was paint the cabinets as there is too much wood, and what was the builder thinking and so on . . . My heart sank. She did say that she thought I had done the best decorating/use of space of the open floor plan as possible. I guess that was a compliment?! Regardless, my heart sank a little further. I know that beauty is in the eye of the beholder, but I’d have a hard time painting over such gorgeous, quality wood. Are there any all-wood kitchens that you wouldn’t change? Thanks for your blog and sharing your expertise with the world. I do enjoy your humor and insights — one of the best blogs out there! This is a complex situation, but a very common one. I do have some posts on the blog which address painting previously stained cabinets. This post directly talks about painting stained cabinets. Yours are very dark, so I wouldn’t paint them white. Perhaps a khaki to blend in with granite. As for the counters and backsplash. I will address this issue in the Sunday post. I would probably change the backsplash at least. If you like this designer, then pay her for the ideas or whatever. And find a painter who would LOVE to breath new life into the dark cherry cabinetry. He’s out there. As always I gain knowledge and perspective when reading your blog. Additionally I have to say the comments are always a delight to read also. Your blog is the only site I will regularly read what your readers have to say. Such delightful readers. Great post Laurel! I think I know what “wood” cabinets you mean, that is our kitchen and I hate it. So dark with black granite counters. Even more so, as the previous owners added another bank of cabinets in a very dark stain that goes with nothing else. I want to paint it all white, but have to convince hubby. Make him a chocolate cake. I have a great recipe if you need one. It’s a great way to make a man do anything you want. So much to think about in this post: trends, fads, innovations…which are which? Those are the questions. Sometimes someone falls into a trend and then is sorry, while occasionally the love remains. But underlying this is the sad fact that new designs make for more spending, just like clothes but at a much higher price. Re black appliances: after stainless became available at all price points, the high-end manufacturers tried to push a copper tone as the new snob choice but this failed completely. Granite, those long tiled backsplashes, teeny glass tiles aren’t favs, ditto one you omitted which is those long drawer pulls which preclude an easy change of hardware. Another fad/trend/innovation I dislike is the bulter’s sink, especially in its stainless version. But lots of people love it, the question is for how long. Also, in the same category are heavily patterned cement tile floors, the newest trend I see in this entry. Hand-painted French tiles with herbs and their names written underneath have been “out” for years but may still be charming to people who chose them. 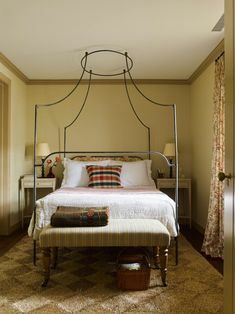 I agree that painted wood is classic and beautiful. But when Smallbone hit the US some of its wood offerings were wonderful. Upper and lower cabinets in different colors: I don’t have an opinion other than undoubtedly expert advice is needed to make it work. But the lack of uppers: I am skeptical and bet there is additional unphotographed storage when the so-called kitchen lacks them. The test is in a finite galley kitchen. One more thing: the new gold standard you don’t mention is the dishwasher with interior controls. It takes a flat panel and looks just like a cabinet and changes the stainless/cabinet ratio. I did address storage issues in this post. But… it’s not necessarily NO uppers, just less counters. And maybe for some thinking of a kitchen in different terms. But yes, those absurdly long handles are an affectation. The cement tiles, I would do in a butlers pantry. They are actually very classic, but I don’t like them when they get too busy and it’s too much for a very large kitchen, I think. But then, I’m not fond of very large kitchens. Anyway, I agree NO kitchen is really completely timeless…even simple white subway tile has been “looked down on” in the past and god- forbid it have dark grout (ha!) Now the “retro, vintage, cottage” look has brought that back. I STILL dont love the contrasting grout, its just too visually busy for my taste. To me, the kitchen needs to fit the whole “look” of a house. I constantly hear people say they want the “white kitchen, gray subway tile, marble counters and gray island” that we see in every post on pinterest and it doesn’t fit with ANY other thing in their home. Not to mention, I foresee it being the next “dark cherry kitchen” in 10 years or less. You can have all those things but be prepared to want to change a lot of other things too! Sorry – I feel the same way about shiplap! YIKES – dont hate me for saying it but it should not be being installed in every situation – it does not make sense in some (a lot) of homes…although I suspect that the Karen Swanson kitchen “Fits” the home she applied it in and it is a stunner. NOW as far as wood being out – I need to disagree. I think the wood/stains we have seen in the past may be out BUT others are SO HOT….what about the amazing Jeffrey Dungan, McAlpine Tankersley or Brooke & Steve Giannetti? They are masters!!!! The cement tiles are gorgeous in a small pretty styled kitchen or bath on instagram but I can not imagine them in my house with the amount of flooring I have…it would be visual overload for me. No, I’m glad that you got excited! That’s a good thing! It means you are actually thinking instead of droning through life on auto-pilot. And actually, I agree completely with all of your points, even the wood. If you go back, you’ll see that I DO like wood but not lining the entire perimeter of the room. Maybe I didn’t make it clear, but what I’m talking about primarily, is the common oak cabinetry in a medium- stain. I adore old wood. I loved the pale scrubbed wood, but that’s not what we’re talking about. I am also not talking about an arts and crafts home. Or a rustic Californian homestead out in the desert. Those designers are on an entirely different level. I have featured both Bobby McAlpine and the Giannettis on the blog. I LOVE their work, but it is not mainstream. Not that I am trying to make everything mainstream– far from it. But there are many, many variables including geographical location and style of the home. The problems as you alluded to go far deeper than just the kitchen and finishes. My old kitchen was a mix too and I hated the black range but the dishwasher and fridge were white. Actually, we had the fridge sprayed as it had been almond! yuck! Thanks for that input Lindsay. Geezzz, any contractor who would put in wood behind the stove should have his license revoked! Great to know about this product. Of course, it would also be fine to introduce something else (like a tile) unless for some reason, design-wise it wouldn’t make sense. I remember touring a door and window factory with a bunch of fellow architects, and being shown these front doors that had nothing to do with current trends. You know – multiple panels, kitchy moldings, etc. And we told them flat out: the only front door we would order from your factory would be the flush door. If you could offer a single panel front door, without any return moldings – that would be great. They were shocked. In terms of kitchen cabinets, I’m shocked that lower cabinets without pull out inserts are still being offered. They. just. don’t. work. In terms of kitchen trends, the two color cabinet (dark below, light above) has been offered for a while, and I still adore it. I also love the un-kitchen (open walls or open shelves) even though I have a tribe of daddy long leg spiders that would love to web up everything on the shelves within 30 minutes. It just feels so calm and ordered. Simple. Relaxed. I’m also fond of furniture re-made as cabinetry. Oh I love these kitchens. I’m not sure if you have ever seen Home Depot’s kitchen displays but I’m shocked people still want kitchens that look like them; the cathedral cabinet doors, the dark wood cabinets, the glaze… I suspect they haven’t updated their displays in many years. It’s so much different than the Ikea kitchen displays which seem to have their finger on the pulse of what is working now in kitchen design. Ugh. Not surprised. And the Cathedral door. That’s another bastardization that has no historical provenance to be found. The closest I’ve ever seen is something like this, but it’s a chalk and cheese situation if there ever was one. I rarely go to HD because I always seem to live in a place that isn’t very near to one. I believe the Martha Stewart brand is still there. Those kitchens are very nice and of course, they’re all painted. The Martha Stewart cabinets are still there and they do look great. But, there have been complaints that the doors start to warp because they use thermofoil, which is fiberboard coated with a layer of vinyl. Figures about the MS doors. Of course they are most likely not made here and are cheap crap. Death to those horrid back-splashes! Those are all nice greens. I am wondering why not paint all of the cabinets in the green you select? I can’t see your kitchen so it might be fine to do the two-tone thing. But usually people do it when the bottom color is either very dark and/or very intense as the green in my post. Laurel the world is screwed up but your blog is indeed a small bright spot of pleasure, and we all need that right now. Thank you for the laugh at Alex Trebek’s expense! But really at the expense of the creator of the Black Steel Appliance. While reading this post on kitchens, I had some very uncomfortable flashbacks to the 1970s Northern California that caused me to wince–Not only do I remember wood upper and lower kitchen cabinets, with avocado or goldenrod appliances, and crazy LSD floral wallpapers, but there were CARPETS IN KITCHENS!!! Not shags of course, but wall-to-wall ,flat industrial carpeting!!! Sort of a felted, compressed “weave” if I remember correctly. I always remember my friend’s mother using some sort of rolling sweeper device to “clean” the carpet in the kitchen; it was always stained with grease, food bits and never ever looked clean. Several of my friends homes had this same carpeting, but I grew up with linoleum in kitchens where we lived. It was normal, not considered déclassé or tacky. Was this the norm on the East Coast too? Wall to wall kitchen carpeting? Yes, I believe that the black stainless is going to be the gag-awful avocado and gold of the 70’s. I have seen the kind of carpet you mentioned, but not in the northeast. It was in my original hometown of Evansville, IN. I stayed with a childhood friend for a high school reunion 21 years ago and her kitchen had it. Verrry weird. The only thing is that it’s softer under foot. But yes, how do you keep it clean? I lived in Palo Alto between 1973-1975 and I remember decorating the flat I shared with my sister with this big orange and brown floral thing! And I made a slipcover (sort of) to cover the hideous barfy-beige sofa. Otherwise, it was in a very cool old house and we had the second floor. The galley kitchen only had upper cabinets on one side. Yes, they were white and the counter was wooden on that side. I think it was formica on the sink/stove side. I couldn’t agree more that most of today’s kitchens are just too, too much. My grandmother was THE world’s best cook that ever lived. Yes, she was. No arguments please. :] She prepared the most delicious meals in a verrrry tiny but charming kitchen in my grandparent’s 1920’s Chicago apartment. And yes. The cabinets were glossy white. Boy do I love Sundays since I found you! I am too practical to buy into an upper -less kitchen. What I might do in my new house though is remove the cabinets on either side of the kitchen window and just do tile up the wall. I know myself too well; if I put up shelves they will never look neat or “styled”. I can’t believe how fickle home fashion is; I am already sick of gray gray gray. I can only hope the next swing or trend is cream cream cream. And dare I say I am just yawning over subway tiles, as timeless as they are they have become so ubiquitous. Isn’t anyone using a classic white 4×4 these days? I sure haven’t seen any in my recent house hunt. Hi Karen. Tile up the wall or even art works too! The problem with gray is that a lot of people don’t know how to use it. It’s really a very traditional color. It’s the gag-awful “transitional” banal furniture that goes along with the gray that’s giving it a bad rap, IMO. But I too love creams and whites! Hi again Karen. This is soooo funny. But I JUST before I got back on here to comment saved a kitchen with a very pretty marble hex backsplash. The black butler’s pantry(? ), from the Enchanted Home is very classy and elegant. And the charcoal and white kitchen from Thrifty Décor Chick is charming and inviting. I still am having trouble wrapping my head around a kitchen without upper cabinets, though. They’re very attractive, no doubt, but unless one had lots and lots of storage, and a Daisy from Downton Abbey to keep the shelves and their contents sparkling clean from all the grease, it doesn’t seem that practical to me. I guess I shall have to go back and review in detail your posts about the un-kitchen and upper shelves. Thank you again for your always well written and informative post. Yes, I address storage issues in the other posts. But there can certainly be floor to ceiling cabinets which will have more storage. A lot of kitchens have way more counter space than is necessary. It’s the break up of the cabinet and counter piece below which feels like too much if it’s all around the room. In addition, pantries are helpful. And pantries that maximize storage in smaller spaces. There are lots of tricks. No, I have never thought about that, but thanks for the info! I have mine done by a window cleaning service. But I understand what you’re talking about. Gosh, it’s still a beautiful look. It’s not common around here though, but I’ve seen photos of it. My pleasure! Thanks for such a lovely note. My wood is painted, then glazed, not au naturel. And really nice color that I don’t know how to describe. I saw enough knotty-pine dens growing up to cure me of natural wood for two lifetimes. And the scrim of wallpaper has buff background and design that picks up the color of cabinets. It sounds very pretty Gaye. Beauty is love and that’s what I think this world needs more of. And a good laugh. Hi Christine. There are ways to work with wood that will make it a lot better. The problem comes when folks want a light bright kitchen and then paint the walls some pale shade that just makes the cabinets stand out more. They can’t have it both ways. But, it also depends on the size of the kitchen and how many upper cabinets there are. I think it becomes a bit much when there are three sides of brown uppers and lowers- which equal about 20 feet of counter space and the 10 foot island. Nobody needs that much counter space. I find this especially disturbing. Fine, if one wants to put tacky in a new home but putting in something so obviously incongruent into an old beauty makes me quite sad. Someone wrote me recently and sent me the real estate listing for a beautiful old historical home they are buying. Fortunately, the old butler’s pantry was left undisturbed, but the kitchen/ OPEN family room… there are no words. Well, just one. Included was a projection screen TV that came down over the kitchen sink! This is the kind of taste level we are talking about. She wanted to know what color would help “soften” things up. I wrote her back that there was no color on this good earth that could help this beast. Just rip it out and start over. And no, it did not have to match the butler’s pantry. In fact, I would not, but would put in a classic white kitchen far more closed off to the “family room” and in keeping with the vintage of the home. There are tons of talented architects and designers in her area who would be able to restore this space to its original glory. Thanks Tricia. Of course, I don’t expect everyone to agree with me. But that’s fine. great post, as usual! the dark green kitchen trend makes me uneasy. I want to like it, but I just can’t. ditto black stainless. my thought is that the faux French look originates with a homeowner trying to balance the level of decorating in the adjacent rooms. if someone really likes a layered, styled look in their home, perhaps they feel that a simpler design will feel to utilitarian for their taste? probably was not such a dilemma before open floor plans became the default. I love that kitchen too. What’s your take on the paneled refrigerator and/or dishwasher, blending into the cabinetry? Is it, too, going to look trendy in a few years? I wanted to mix polished nickel and unlacquered brass in our upcoming kitchen reno but thought adding in stainless appliances would get too busy, a la your two metals rule. Reason I’m considering stainless is because I did a kitchen in 2013 with paneled appliances and regretted all the knicks and knocks on the factory finish in these high-traffic areas. Plus, in the end, it bordered on too much cabinetry with the 42″ fridge. Yes, shiplap is also like barn-siding and actually has been around for a while, but not so much in the mainstream. Of course, anything can be over-done, but so far, I do love the look. I love your blogs! Very helpful and witty. Thanks for all of your wise advice! And yes.one does crave some sanity. Where there is insanity allover. It also helps to know my kitchen is probably much closer to wonderful than to awful. I’m just sad we had to return the copper faucet I loved because the magnet there..well, didn’t magnetize:) But I hope to introduce some “warm” metal finishes through accessories. A post about backsplashes would be wonderful. A post about bathrooms would be wonderful too, but I’d be very scared even just to open it, because I have a heavy feeling about mine (not finished yet). It started like a pretty bathroom. Then mistakes in framing, and down the hill it goes..great illustration to the saying “Perfect is the enemy of the good”. And I also succumbed to the peer pressure..peer being my husband lol.. Question: why do you think black stainless is not to stay for long as versus just stainless? Harder to integrate, color-wise? Because many people seem to love it. I hear you on these points. The black stainless is weird, IMO. And weird is not timeless. It’s just different. It’s the new shiny thing, but I believe quite strongly that it’s going to look very dated very soon–especially the fridge. Who wants an ugly blackish steel box in their kitchen? If anything, it should be a more platinum stainless, not darker. I love vintage kitchens and have posted a few in other kitchen posts. And they are definitely making a comeback. There are vendors out there who are creating vintage-looking appliances in retro colors and yes, they are way cool. Luckily I stumbled upon your blog a year ago shortly after moving from RI to Georgia. We’re renovating our home room by room and I feel like you’ve “got my back” as I encounter one design conundrum after another. Ahh… a more temperate climate. Yes, hot in the summer, but it sure is here too! Gosh, that was fun! The “French” kitchens make me laugh. You could also have shown a “Tuscan” kitchen of the Disney type and then a real one — essentially a wooden table, an ancient sink, and a wood-fired stove. I agree with everything you’ve written and I’m the pickiest person ever. I don’t like anything trendy. Give me a simple white kitchen or the very rare kind that has reclaimed cabinets from a 19th-century pantry. In terms of trends, I’m hoping that islands don’t endure the test of time. When we house-hunt outside of the city, where kitchens are bigger than closets, I imagine myself vaulting athletically over islands knowing I’d soon get sick of walking around one when it separates the sink, stove and fridge. If I need more prep space, give me something that rolls out of the way on casters when I want it to. If I need more storage, make me throw out unnecessary stuff. Don’t put a huge immoveable obstacle in my path. I wish the whole huge kitchen trend, as well as the open kitchen, would go away, especially in smaller houses and apartments, where a dining room disappeared to create it. I like separation. I don’t entertain much. And when I do, I don’t want those poor peeople to see what MIGHT happen in my kitchen! Smaller kitchens can be lavishly efficient. I can stand at my sink and reach my stove, fridge, and dishwasher in one step in either direction. I’m not advocating that for those who don’t live in tiny apartments but it has made me spoiled. I almost bought a house with a good-sized kitchen and two fairly original pantries…. until I realized that the fridge was in the furthest pantry, around two corners and about 18 feet away from the other appliances! And there was nowhere else to put it. I’d need to cook on roller skates. Were we separated at birth? lol You never know! Believe it or not, I am in the shadow of NYC at high noon and it is phenomenally unsophisticated here! Lots and lots of brown and not even a beautiful cherry but oak. oak. and more oak. Like you get a rebate if you put in oak. I wonder what they are like to cook on? I wonder what they are like to keep clean? I really enjoyed this post and have read it twice. We are currently giving our kitchen a facelift and my next renovation plan is to be VERY RICH so I can run away and never wonder what tub the sugar is hiding in. I love painted cabinets and like a soapstone-looking countertop. Travertine is like tumbled marble and perhaps if it’s a rustic, modern kitchen, it would work, but the way it’s been done the last 20 years has never appealed to me and now it just looks downright odd. It is fine to let your granite counters stand on their own and do a pretty ceramic subway tile to coordinate with the cabinet color. Oh gosh, Bonnie, I have no idea. I found that photo on HGTV website. BM Kendall Charcoal hc-166 is a really nice cabinet color. That looks like it might be a satin finish. The wall could be lots of colors. You are so right. There are lots of bastardizations out there–including contemporary furniture. I call anything like that “ersatz” because it’s trying to be something it’s not. It’s just bad design and yet there’s so much of it! It’s not a matter of taste either. I love lots of different things. That is sometimes not good for a designer but a good design be it traditional, modern or something in between, needs to have certain principles of color, proportion, style, line and something folks don’t speak of too often – opposition. But that sounds like a blog post topic! Hmm, maybe we could coin a term, bast-ersatz-ardationa? Maybe not. Please, please please write a post on ‘opposition’. You’ve just put a name to the je ne sais quoi that lifts a design from OK to OMG. Yes, yes! Opposition. Thank you for that reminder. My blog topic list is getting verrry long. Too much, I hear you cry, from across the ocean. personal to the owner &, as you say, Laurel, not like walking into a kitchen showroom. Not keen, however, on the personalised chopping board…too much, indeed. haven’t just dropped from the sky, like many ‘new’ kitchens do. the Bahamas..what’s wrong with the old scrubbed kitchen table ? Love your comment. Part of the issue with the green kitchen is that we’re not seeing the entire room. While I love green, that particular shade of billiard cloth has always not agreed with me. However, what I do love is that she chose something she loves and obviously doesn’t care if the next owner doesn’t. I’m not saying that one needs to decorate for “the next owner.” But if it’s not one’s forever home (and sometimes those temporary places become forevers), then it’s good to be mindful. I love the good old-fashioned scrubbed table. I mean why stand there chopping when you can sit. haha! I’m a fan of your obvious elevated sense of things, not to mention taste. And while I’m a ‘glass-half-full type of fellow, those of us with ‘La Cornue’ taste, but Viking / Wolf pocketbooks – I do want to stress that while a handsome kitchen is a joy to behold – and I highly recommend it – equipment that will put you into serious debt, will NEVER EVER make you a better cook. Talent doesn’t care what it’s cooking on or in. That said, my folks always instilled in me to buy the best you can afford – and always be open to the seemingly never-ending opportunities to be inspired – and I really believe beautiful surroundings – that truly reflect your sense of style and your joie de vivre are so rewarding. The kitchens you featured are for the most part incredidby chic and goodlooking – though I hesitate to fully embrace this open shlelving concept which is so prevelant of late. Don’t get me wrong – i like the look – but unless you’ve got plenty of storage (do most people ever have enough?) – the upkeep to maintain ‘styled’ shelving would be laborious. But I’m going to have to proffer that short of the beautiful Farrow and Ball’s light, beautiful and stately greys…. I’m a white cabinet kinda’ guy! Thank you for your continually impressive and inspirational blog. I hear you and agree from a practical standpoint. And so true that one can cook on an insanely expensive range and produce something not fit for the dog. And unless someone is cooking for a large function regularly, I cannot begin to image why anyone would need more than six burners–tops! My next challenge ispicking out countertop. Ive never liked granite…too busy.. Ive had beautiful vermont green and cream marble in another kitchen…but know while marble is my love granite will a better choice in the long run. I would love a post on different looks of granite against white cabinets. I saw some some “Alaska white” from Brazil but wasnt sure…please Id love your expertise. I actually really like white appliances. They are light and relatively unobtrusive. The only thing is that they are WHITE. When are manufacturers going to wake up to the fact that we don’t want ALMOND or BISCUIT, we want a nice soft white that will blend in with the most popular shades of white. Even a Chantilly Lace color would be better than the stark thing they are pawning off on us. Finally. Not all granites are created equal. Some are surprisingly marble-like. I’ll work on that.